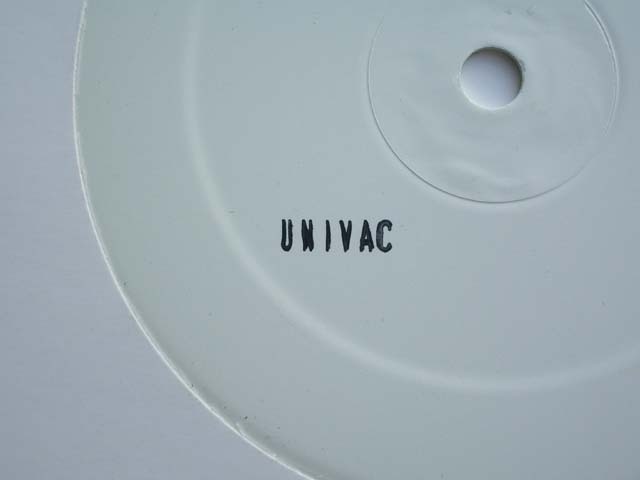 Calling Univac’s debut EP ‘party electro’ would mean that we have a misunderstanding right for the start. Because parallel to maintaining dark stance of Bunker catalogue, “Radiation” just keeps going with energetic treatment for hips and thighs and delivers plenty of banging and roaring tracks of good vintage electro style, in almost LP length for full enjoyment. A1 bears some resemblance with “Numbers” by a famous Düsseldorf collective and A2 features an armada of jet fighters taking off for a mission. A3 is something to get seriously hooked on: a body-shaking very functional track with memorable stinging sequence and B2 is another intense cut with subtle acid lines . B3 smells and sweats like EBM, making to think of Univac’s Spanish heritage, of El Aviador Dro, Esplendor Geometrico and others. B4 is a menacing builder for the end of this impressive release. 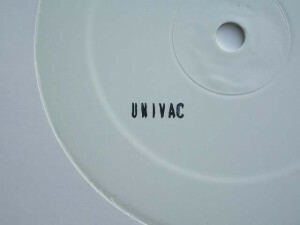 Bunker Records, the label that gave us Unit Moebius, Inter-Ferrence and other heroes coming from the sewers of The Hague, has found in Univac an artist that made my day.